Get In Touch With Us Today! Contact us to arrange a visit. Celebrate your wins, no matter how big or small it may seem. Here at JustCo, we live by this and work hard to bring our visions to life. 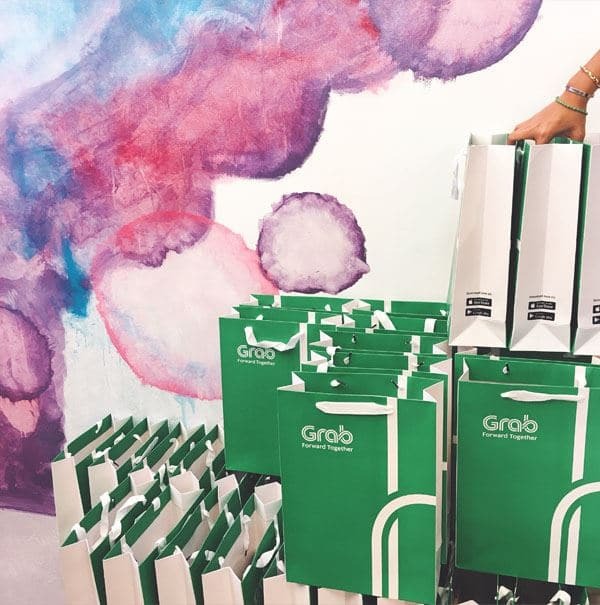 Last Friday we shared our space with the #GrabFam to do just that. With Grab dominating the ride-hailing market and rolling out irresistible rewards for their users, it was truly a match made in South-East Asian heaven. During the event, we were introduced to a concept called Moonshot Thinking, which simply means ‘an ambitious project undertaken without any expectations of near-term profitability and without a full investigation of potential risks and benefits’. With incredible moonshots in the works today from huge companies such as Tesla and Google, the Grab team found themselves inspired to do better. With social moonshots, it was a tighter focus and eventually played a key role in their success today, keeping the team on their feet day in, day out. It was about improving the lives of their drivers and their customers. In Malaysia, where safety is a growing concern, Grab came up with the solution of installing an emergency button on the app should the rider feel unsafe. This alerts the respective authorities, in this case, the Malaysia Emergency Response Service (MERS 999). We feel fortunate to live in an era where technology is at our fingertips, and priorities focus on improving the safety of the consumers. We no longer shoot for the stars; we aim for the moon. As our very own Head of Sales, Brandon Chia, sprang forth to share JustCo’s expansion plans in various cities to increase accessibility, we clinked glasses to our larger-than-life dreams and felt nothing but gratitude in our hearts. The evening closed on a high note with amazing goodie bags given to our guests as they departed, and the icing on the cake was a $10 promo code to help them reach home safe and sound!